Aid agencies in Yemen are warning of dire consequences for the country’s children if the conflict there does not stop soon. Not only are children being killed and injured by bomb strikes and gunfire, but malnutrition and diarrhea are on the rise due to limited access to food and clean water and in the south of the country there are reports of an outbreak of Dengue fever. Meanwhile, vaccination rates have plummeted because vaccines have spoiled in the absence of the electricity for their refrigeration and because it has been too dangerous for many families to take their children to clinics. “This is potentially a very dangerous situation regarding vaccinations,” warned Julien Harneis, the head of UNICEF in Yemen. “We are speaking to partners to see how we can address the problem and ensure children are still reached,” he said. She said it was already hard enough to cope with the regular caseload of patients, given the limited medicines and the lack of electricity due to limited fuel, without having to treat people with gunshot and other conflict wounds as well. Fatima Al-Ajel, a spokeswoman for Save the Children, said in some areas, diarrhoea prevalence had increased from 25 percent among children under five, to 31 percent, not helped by poor sanitation and soaring summer temperatures. And Marie-Elisabeth Ingres, head of mission in Yemen for medical charity Médecins Sans Frontières (MSF), told IRIN: “In the last month in one of our hospitals we have seen cases of malnutrition among children under five double. “Children are dying from very common and very curable conditions because they are not getting to hospitals in time due to the fighting and this is very worrying,” she added. According to OCHA, the UN’s aid coordination body, more than 1,800 people have been killed – among them at least 64 children - and a further 7,300 injured since a Saudi Arabian-led coalition began a campaign of airstrikes in March against Houthi rebels, whom they view as being proxies of Iran. A “humanitarian pause”, which began on Tuesday last week and ended late on Sunday, allowed for the distribution of supplies to some access to affected communities, but aid workers say this was too short to make a real difference. Harneis said UNICEF had been able to supply some 400,000 people with water, as well as health care and sanitation support. “In terms of meeting our objectives for the five days, we did ok, but of course it doesn’t begin to cover the needs of a population of 26 million people," he said. Although health, nutrition and sanitation needs of children are the most pressing issues for aid agencies, the conflict is also taking its toll on the country’s education system. The UN estimates that close to two million children of school age have not been attending lessons since the airstrikes began and it reports that more than 30 schools have been damaged by bombs and fighting. 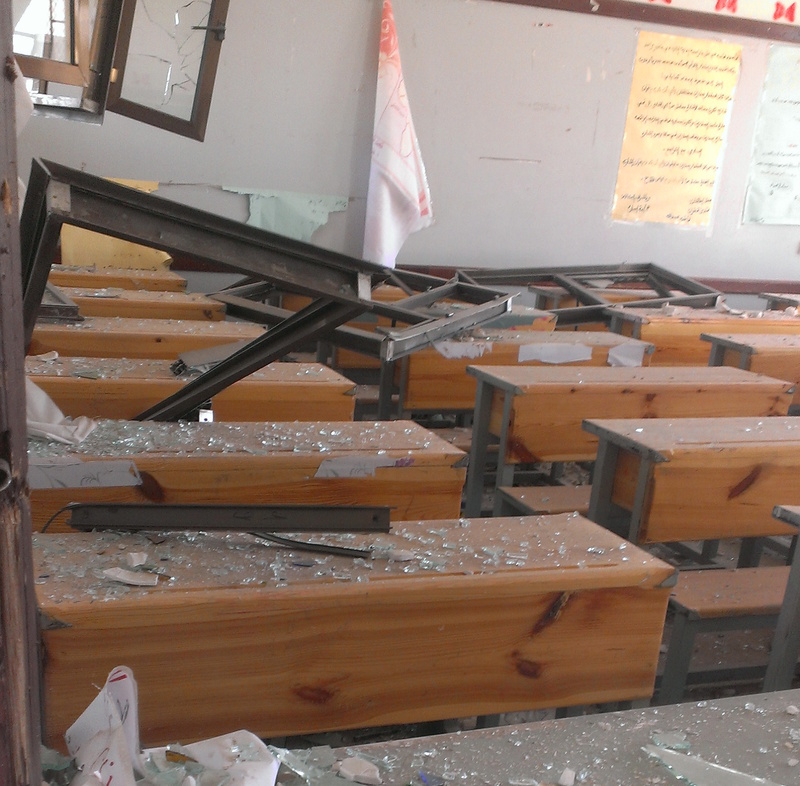 Ibn Sena school in Sana’a’s Faj Attaan district was hit by an airstrike in early May. When IRIN visited, shattered glass from crumpled window frames now covers broken desks and doors to deserted classrooms now hang from their hinges. “All schools in Sana’a city are at risk, and study for many has been stopped for more than 45 days,” explained Mohammed Al-Fadhli, head of the government’s Education Office in Sana'a. “Our situation is extremely difficult, we are stressed by people who are worried about the study and future of their children and we do not know what to do,” he told IRIN. Many families have left the urban centres like Sana’a to get way from the airstrikes, but are struggling to re-register their children in new schools for lack of the requisite paperwork. Sixteen-year-old Osama Hasan, a class ten pupil, fled Sana’a in April with his family and planned to enrol with the school in the village were he is now staying. But on arriving he has discovered there is no secondary school there and the closest is five kilometres away, unreachable for now due to the ongoing fuel shortage. 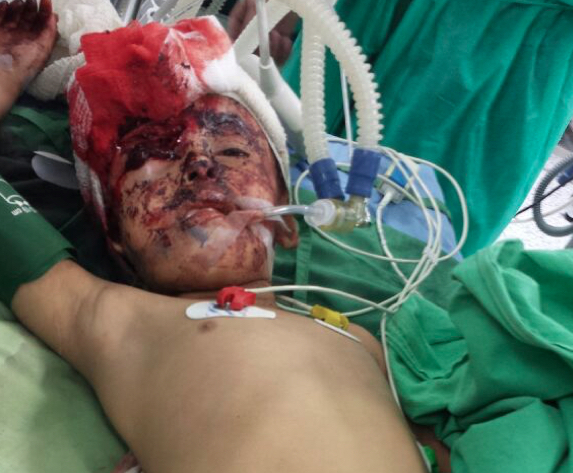 Class 11 student Ghaida Moneer also displaced from Sana’a, is facing the same problem. “I am very frustrated as I cannot continue my study, the school here in our village accepts students to class nine only,” the 16-year-old said. In other cases schools are out of action because they are sheltering internally-displaced people (IDPs). “This is the case in in Amran, for instance, which was already hosting IDPs from conflict in 2011, and so when large numbers of people began arriving from Sadaa, there was nowhere else for them to go,” explained Al-Ajel from Save the Children. Airstrikes, which had stopped for five days, resumed in some parts of the country on Sunday evening, and gunfights in parts of Taiz and Aden which did not stop throughout the pause also continued. The Arabian Peninsula’s poorest country, Yemen was already in crisis long before the present turmoil erupted due to decades of conflict, with two thirds in need of aid, and malnutrition levels at a rate comparable with a many countries in sub-Saharan Africa.